Xiaomi is a big name in the Chinese tech world quite a number of sub brands with tentacles in smartphone making, VR and AR headsets, laptops and fitness tracker or wearable in general to mention a few. The sub brand, MiTu which had to do with the drone which we are going to take a look at is not new to the game either. Looking at the Xiaomi MiTu Wi-Fi FVP drone, you’d be surprised at the amount of specs Xiaomi has managed to fit into the small drone. If there is one thing that the Xiaomi MiTu Wi-Fi FPV is, it is that it had a compact build and quite durable too. Going for a nice circular body, the drone is made up of durable polypropylene plastic while the rotor had a glass fibre material build. This makes the drone all the more resilient to damage even upon crashing. 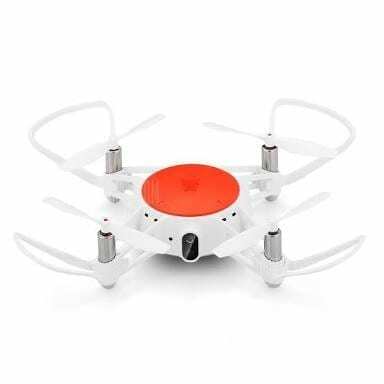 Considering the size, the Xiaomi MiTu Wi-Fi FPV could more or less qualify has a you drone with a 91 X 91 X 38mm dimension and weighing just 88g. As you might have noticed, the drone is available in white colour alongside a circular orange too. That being said, the done has prop guard popping out at the base of the rotor. Not minding the small size of the drone, the Xiaomi MiTu Wi-Fi FPV has an impressive flight time of around 20 minutes kudos to the 920mAh battery on board. Also, the drone is quite convenient to fly with bluetooth control also supported. To make things much more easier, there are sensors such as barometer, ultrasonic sensor and the optical flow sensor. All of these sensors supply information to the quad-core 1.3GHz processor inside the drone. In addition, the Xiaomi MiTu Wi-Fi FPV is also capable of showing live feed through the App on your smartphone. You also get other common features like altitude hold, precision hovering flips in all directions and a cool drone laser combat with your other friends having the drone. There’s no remove controller here, which can be a problem for some users. However, the virtual controls on the app in your smartphone works quite well and supports both iOS and Android. The drone utilizes the 5.8GHz wi-fi band with a range of about 50m which is not bad at all. You’d be surprised at the quality of optics the drone has to offer with its size and price tags. While I’m not promising anything stellar here, the Xiaomi MiTu Wi-Fi FPV drone’s video quality comes in at 720p HD resolution while image resolution is at 1600 × 1200 pixels. All of which can be saved on the 4GB built-in storage of the drone. The Xiaomi MiTu Wi-Fi FPV is available for sale in a number of online stores starting at $65. 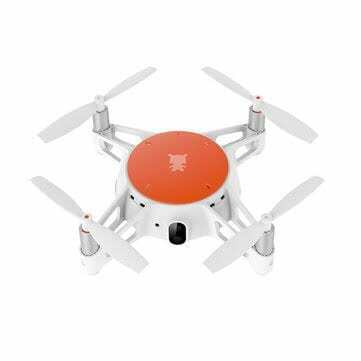 Xiaomi MiTu WiFi FPV drone in Nigeria starts at about 30, 000 Naira depending on your location and the deal.